Arguably the single most important but of winter riding kit you could own, so knowing what goes into a good winter gloce is vital to any motorcyclist who rides through the cold weather. 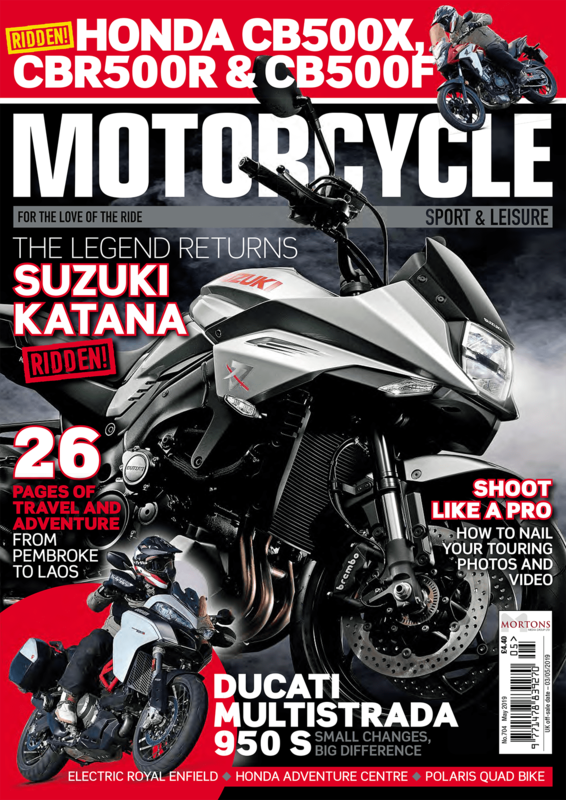 Why are winter gloves the most vital part of a biker’s winter kit? Simply because we rely on our hands so much when we’re riding. And given how responsive most modern bikes are to tiny changes of throttle position and how good the brakes are with the merest touch of the lever the last thing you want to be doing is grabbing at the controls like a bear raiding a bee hive because you’ve got the wrong glove. It’s a tricky balancing act in choosing the right glove for you. Get a glove that’s too thin (so that you can easily feel the bike’s controls) and the thermal protection could be left wanting. Choose a glove that’s too heavily layered and your hands might be nice and warm but you’ll have all the delicacy of Frank Bruno wearing boxing gloves. 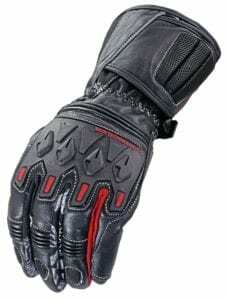 Good for stopping the temperature-sapping wind-chill when you ride, membranes fitted to key areas of the glove like the backs of the fingers and all along the thumb really make a world of difference. More and more winter gloves are now coming with body armour built in. Protection on the backs of hands, edges of the wrist and even in segments on the back of fingers are all worth considering as positives when buying a new winter glove. Make sure the glove isn’t too bulky around the cuff because most winter gloves should be worn under a jacket sleeve rather than over it, this is so that when it rains the water doesn’t run down the sleeve and into the lining of the glove itself. 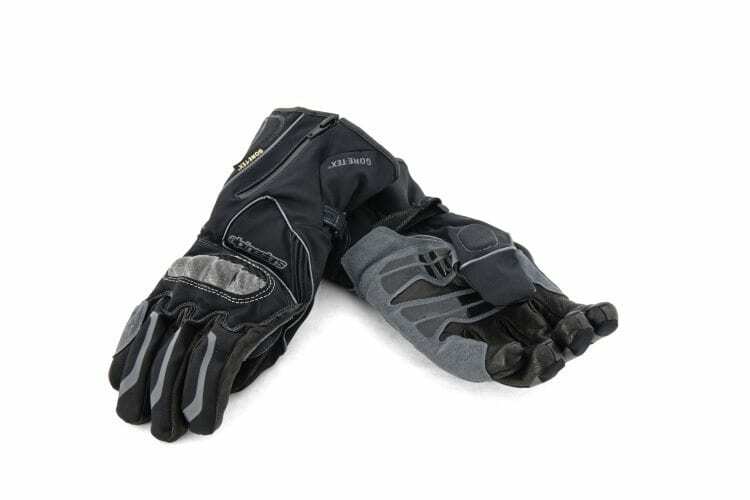 Long cuffs with a pull tab fitted and large tabs on the glove’s zip are essential to make life easier getting on and off the bike. Some gloves use a combination of materials like Keprotec, which is a soft nylon or are coated with a tough outer like Teflon. A tough outer is fine in principal but be wary because most winter gloves don’t offer anything like the same amount of ‘give’ as summer gloves. Test them out in the shop for a fair few minutes first, if they rub or cause discomfort then they’re not right for you. A lot of winter gloves are lined with Gore-Tex, which not only keeps your hands dry and keep the worst of the wet out but also allows sweat to evaporate. Thermal linings vary from glove to glove but it is worth checking for foil linings or similar options (in terms of thermal protection) such as Thinsulate. Faux leather or real leather is often used on the palms to stop your hands slipping on the motorcycle’s grips. To keep the protection quota high make sure that the palms are reinforced with impact-resistant material like Kevlar. Some palms will also have gel pads fitted into them to make life a little more comfortable too. 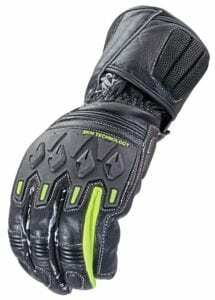 The Mission gloves offer great style and value. They are waterproof and windproof with a supple cowhide leather palm. 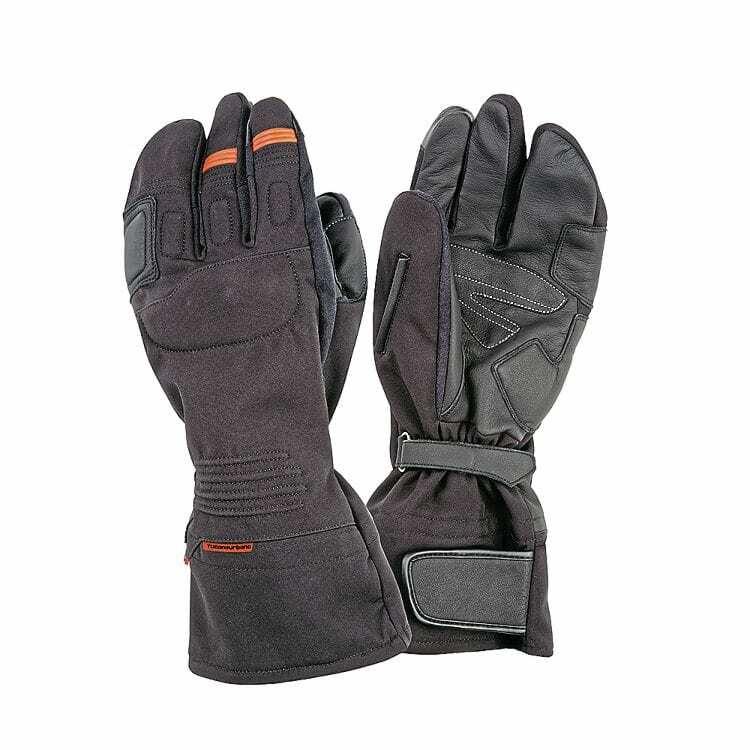 The outer shell is durable and breathable, and the gloves are lined with a laminated micro-porous waterproof membrane. They have reflective detailing for visibility. The new Tetris gloves feature a clever double structure with a four-fingered outer glove and a five-fingered inner one. The gloves are waterproof and boast rigid protectors on the knuckles. They also have extra-long cuffs, allow the use of touchscreen devices without being removed, and include a rubber screen cleaner on the thumb.